← What have war-ravaged Arab children, Calais jungle kids & abused Aboriginal youths in common? For more than two months there has been a relentless war in the area of Minbiç. Minbiç is strategically important as it connects Turkey with Raqqa, the headquarters of ISIS. The area is also important for the protection of the Kurdish province of Rojava. There is silence and ignorance on this war by the media, especially the tragedy of what has happened to women. Civilians have been used as human shields by ISIS. Humanitarian support is only provided by the local authorities, which is not enough given the huge number of displaced persons. It is well-known that women and children are the ones who suffer the most in wars. In this war, though, the situation of women and children is even worse. ISIS began a special war against women, perceiving women and their bodies as dirty. Under ISIS, women are not evaluated as persons and become the property of men. Some of the horrors of what happened to women are described here. The women who suffered need help now. 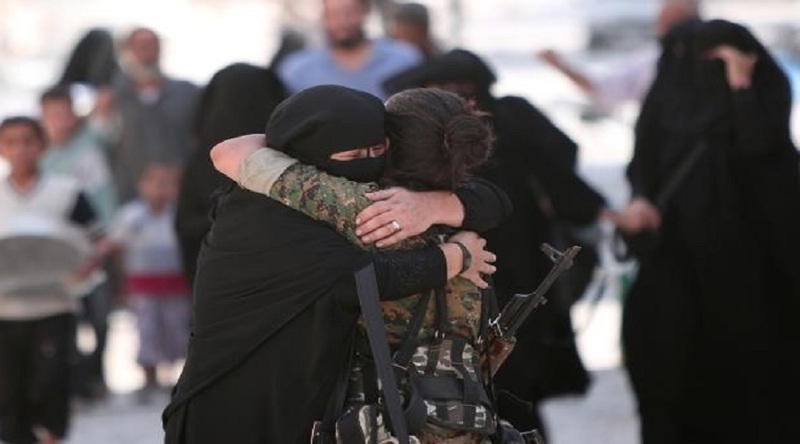 As Kongreya Star, the women’s organisation in Rojava, which organises the society in all its aspects from a women’s perspective, we write this report to share the experiences of the women living under ISIS in the region of Minbiç and who have now been freed. 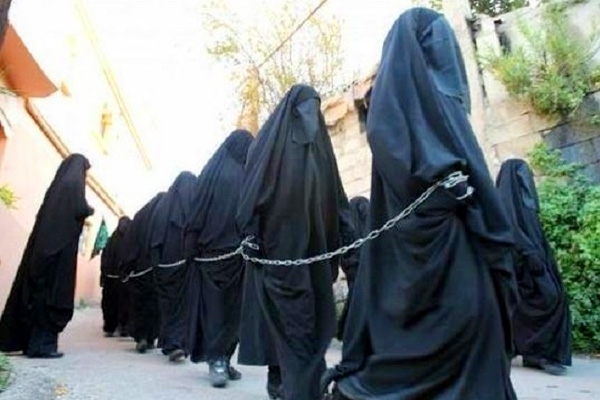 Women don’t possess any rights under the regime of ISIS. We are left without a will or the possibility of self expression. Women become prisoners in their own houses; besides giving birth to children, they don’t have any rights or value. We can call this: war against women. The area of Minbiç is strongly affected by migration, because of the four years of on-going war in Syria. This area is mostly inhabited by the Arabic population. Refugees came especially from Aleppo and other towns from the beginning of the war. It is a tragedy that the area people fled to, to escape the war, became occupied by reactionary, inhuman and plundering forces of ISIS. ISIS created laws against women. There are many rules and laws for the whole population, but especially against women. These laws affect the life of the women to an extraordinary degree. 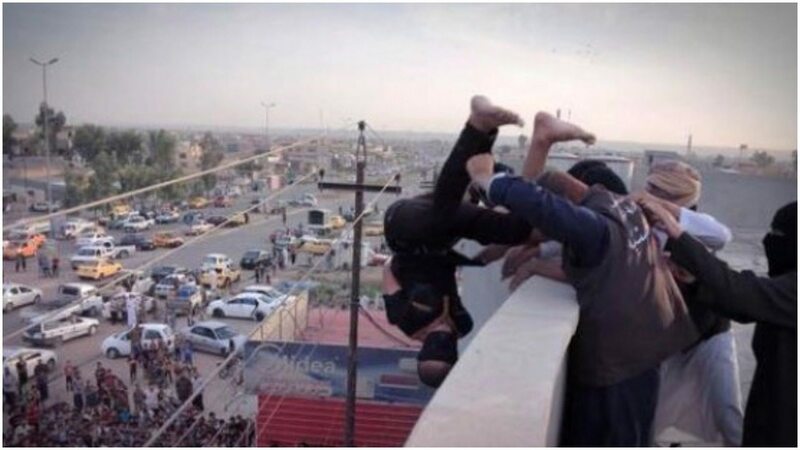 ISIS has their own police-force to control and to ensure everybody obeys. A system of punishment and torture is installed to enforce their regime. 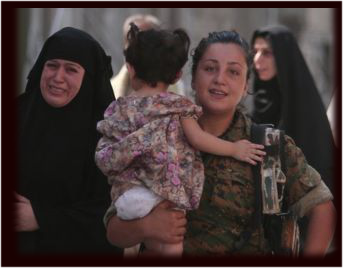 The women we spoke with who have been freed of ISIS in the region of Minbiç, told many stories…. It is forbidden for women to leave the house, except when they do so they have to hide themselves totally with black clothes. The hands, eyes and, legs have to be hidden completely. When an eye or a small part of the finger of a woman is seen, this woman is arrested and will face torture. The ISIS police have a special car in which the women who cross these rules are put in ‘to pay for their sins’. For example, when a part of a finger or eye has been seen these women have been taken away and put in a room for three days amongst cut off heads. This is done to scare, intimidate and disturb. Torture like this can be described as psychological warfare. Once, seven women were arrested and taken away by the ISIS police. For a whole day they didn’t eat. In the evening they were given food and they fell asleep. The next morning the women awoke, naked, not knowing what had happened. They remembered nothing. It’s most likely that the women were drugged and raped. These women left the prison naked and returned home naked. Although their husbands might not be a part of ISIS, seeing their women naked, they threw the women out of their houses. Once a mother fed her child; she didn’t see another possibility because her child was very hungry and crying. She felt sorry for her child and in a camouflaged way, she took care that a part of her breast wasn’t shown when feeding the child. The ISIS police arrested her for sinful behaviour. They killed her by placing an instrument with sharp knives in her breast, which cut off the veins. Another woman, who showed a small part of skin, shared the same fate. She was arrested on the charge of sinful behaviour and was given the opportunity to choose between being lashed or being grasped by this same instrument. Not aware of the consequences, she choose this instrument and died a slow and painful death. 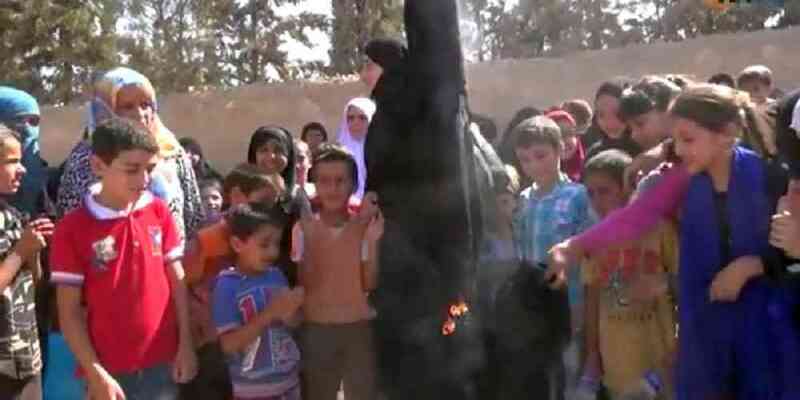 Women removed and sometimes burned their burqas after ISIS defeat in Manbij… Comment: This is the kind of positive image that incensed the reactionary male rulers of Assad, Turkey, Hesbollah, Iran and even Russia, who now collaborate in bombing and shelling the civilian barrios of Hassakeh, forcing the SDF to return from liberating ISIS held territory and defend the Rojava Revolution. It is forbidden for the women to grow their nails, apply make-up, shape their eye-brows. 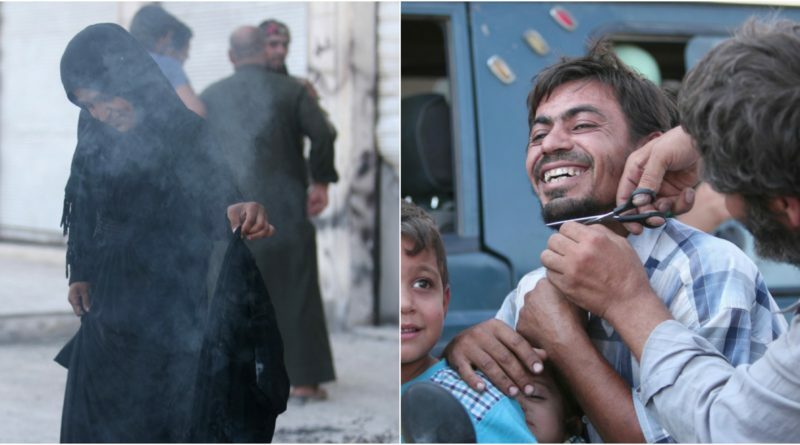 The ISIS police lifts up the black clothes and removes gloves to control and humiliate women. When long nails are seen the nails are removed and when women apply make-up they face torture. 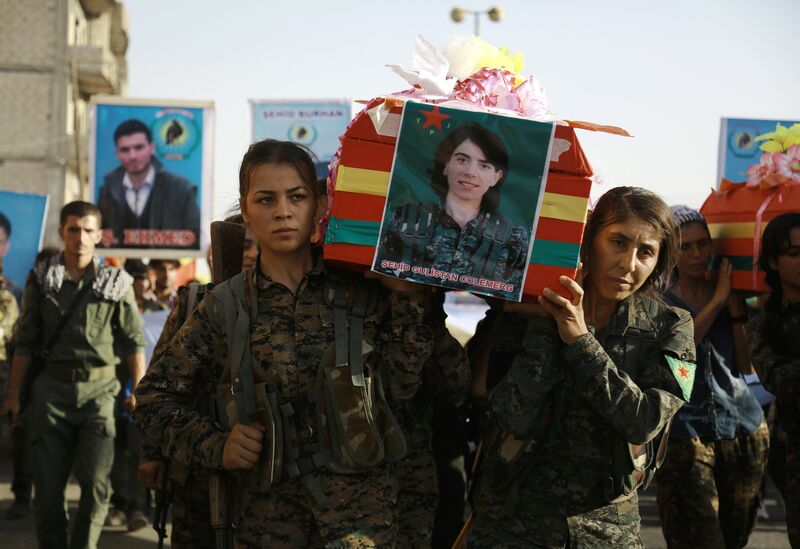 Women under the regime of ISIS are only an object, a thing – not conceived as a person or a human being with their own will or personality. A young woman had been kidnapped against her will and married of with a man who was a member of ISIS. This man died and the woman got married off with another member of ISIS. He died too and again she got married to another man, who has been a member of ISIS. He died as well and again she got married to another man who also was a member of ISIS. Nobody asked her opinion. In this way she got married seven times and finally found herself pregnant, without knowing who the father was. Schools have been closed and forbidden. Men can get education in the mosque, where they learn the religion according to the doctrine of ISIS and rules and laws. They learn, too, about justice and life according to the views of ISIS. For girls, there is no education. For ISIS, people who are able to think, reflect, ask questions or are curious, are seen as a threat. The system of education under ISIS is based on blind obedience and fear. To be able to continue their regime, there is a requirement to stop people thinking and reflecting so they will accept ISI doctrines. There is no space for education or schools in a system like this. Thinking by yourself, interpreting religion by yourself, having opinions and beliefs are forbidden under the regime. There is only space for one opinion, one doctrine, one interpretation of religion and one way of living. Other beliefs or religions are not accepted and people with different religions or of different ethnicities can be killed. For example Kurdish people always live under the fear of torture and killings. They have no chance to live according their own beliefs and customs. They have to hide their identity in order to survive. Only by behaving totally in the way ISIS prescribes has there been a chance to survive under their regime. 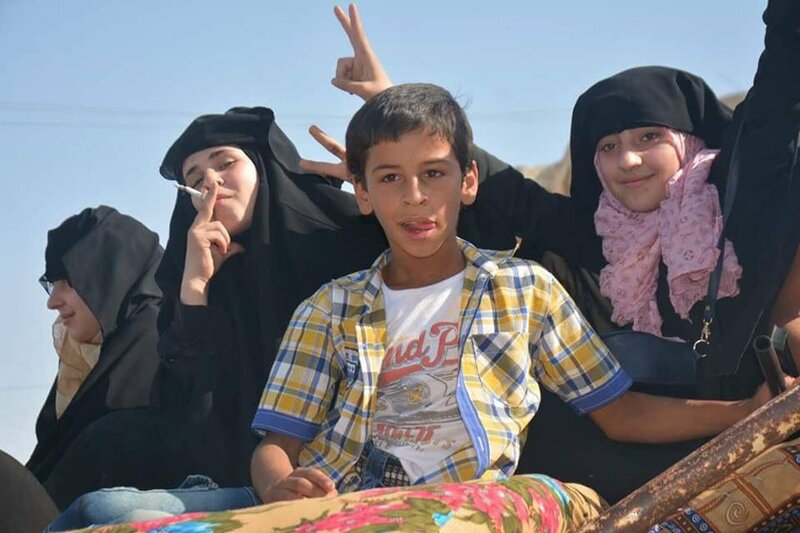 Over the last three months since the war started, life became even worse for the people in the region of Minbiç. Television, the internet and telephones were forbidden and satellite dishes were destroyed to prevent people having any connections with the outside world. As a result women have been stuck in houses, cut off from any information from other people or contacts with other people. During the period when telephone and internet were available, the police of ISIS controlled the phones and Facebook all the time, their content and pictures. If the ISIS police detected any ‘wrong’ pictures, for example with the colours of Kurdistan, people could be charged and face torture. There is one example of a man who shared his happiness about the death of a fighter of ISIS on Facebook. This man was killed, his body torn apart and his head shown to the public for three days. The dead body was not handed over to his family. Measures like that serve to intimidate and spread fear. Smoking is banned under the regime of ISIS and the police control it. They search houses for ash and ashtrays. If ash or a packet of cigarettes is detected, people face punishment. An older woman explained how she has been lashed 50 times and kept for three days in prison becauses she had been found with a packet of cigarettes. ISIS can continue because it is based on fear, intimidation and divisions. Many people support ISIS and report the ‘mistakes’ of family-members or neighbours. In this way a regime of mistrust is installed, where nobody can trust anybody and everybody is isolated. For example, a man killed his own brother, because he believed in the doctrine of ISIS and according to his views his brother, who didn’t believe in this doctrine, was considered to be a pagan, and deserved death. A YPJ volunteer helps rescue civilians from ISIS in Manbij. Life becomes forbidden. 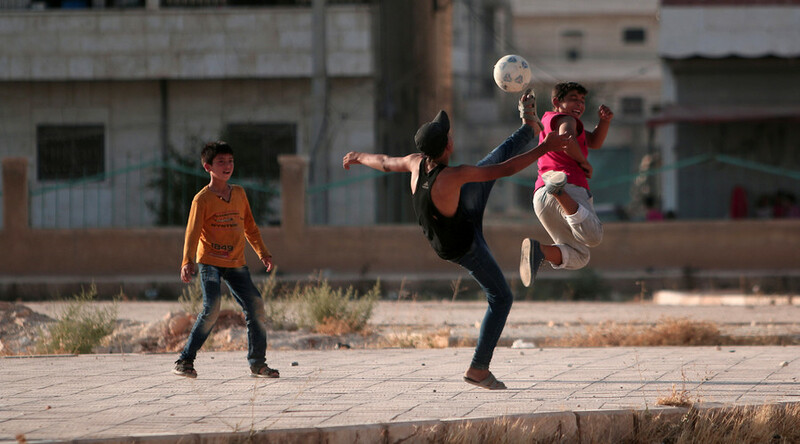 Laughing about the wrong jokes, playing music, songs, playing football, wearing colourful clothes: all are forbidden by ISIS. 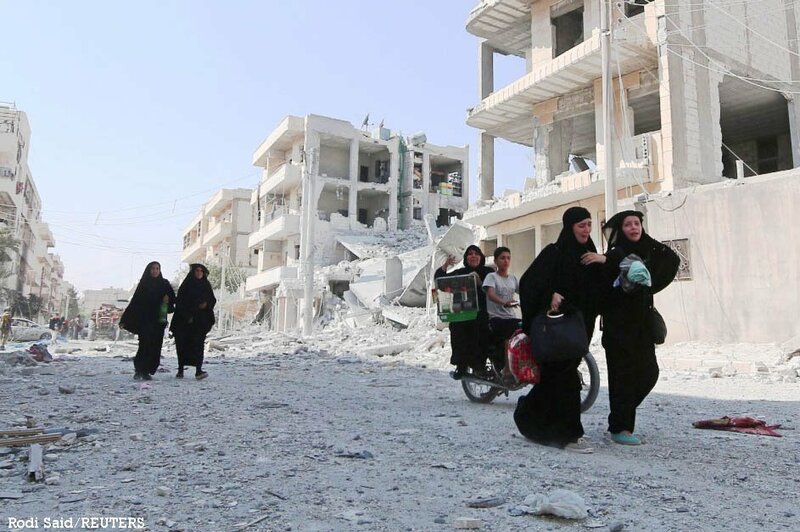 The women freed from ISIS in the region of Minbiç explained how some foods which weren’t available in the time of the prophet Mohammed were forbidden. Some vegetables (the cheapest and best available vegetables) such as lemons, as well as salt and some spices were forbidden. In the last months before the liberation a new law was announced which stated that gas was forbidden and all food should be prepared with wood, as in the times of the prophet Mohammed, but the problem was that in Minbiç wood it is difficult to find. When gas was allowed, it was very expensive for the people, but not for the members of ISIS. Gas cost 147 euros for the people and 6,30 euros for members of ISIS. ISIS builds up a system of fear. For small wrongdoings, heavy punishments are given. For example a child who plays football lives in the danger of having his head cut off. This head will be shown to everybody for three days. This had the consequence that finally nobody dared play football. The people don’t obey because they believe in the rightness of the laws, but because they don’t have another choice. In many places which have been freed from the regime of ISIS the people show their happiness that they can live normally and breathe again. Mostly they are especially happy about the possibility to smoke and play football. According to ISIS, women’s bodies are dirty and shameful. Therefore they can’t see a doctor in a normal way. Women can explain their problems to a nurse, who will relay them to the doctor and then the nurse provides the treatment. Whether the women can be healed in this way is not what counts. No man saw a part of their bodies and that’s what counts. Even in the hospitals the ISIS police ensure no ‘shameful behaviour’, i.e. so a sick or injured women doesn’t show parts of her body. Again the well-being of the women is not that what matters. It was impossible to leave Minbiç, to meet family-members or going to a hospital in another town. It was only possible to go to Cerablus, Raqqa and Babe, which are also in the hands of ISIS. Besides these places, even if people were seriously ill, there was no chance to leave the area which was under the control of ISIS. ISIS kidnapped the men and boys to strengthen their army. Many families have lost their male relatives and have no clue where they are. This war against life, against women has a deep impact on the society and the personality. The regime of ISIS destroys solidarity, trust and love for the self and for other people. It only sows hatred, pain and mistrust. Civilians are used as human shields in the war in the region of ISIS. ISIS doesn’t give permission to civilians to leave the town or the villages. ISIS shot civilians when they tried to leave. They put mines around houses to prevent civilians from leaving. When people tried to rescue their injured family-members, ISIS shot them as well. 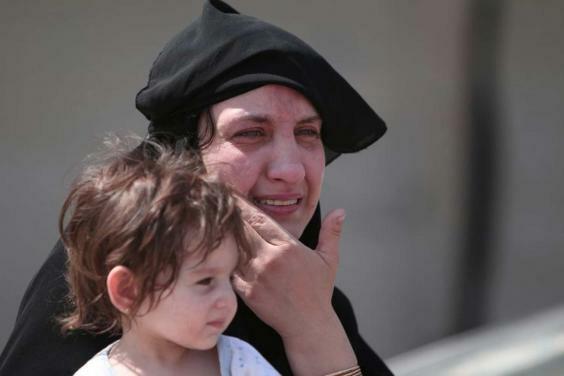 Women, old people, children, even babies got hurt or killed by mines or gunshots by ISIS. Aliya is a young mother from Minbiç. Her father got shot, when they were trying to leave Minbiç. Her father died. When she tried to save her father, she, her mother and her brother were injured as well. Aliya is now in the hospital, but she doesn’t get any information about her brother or mother. There are many like Aliya who have been separated and since then have not had any information from their family-members. According to research by the people’s council of Minbiç 50.000 people have been freed. These people became refugees. Only the People’s Council of Minbiç supports the refugees. The support mainly comes from the canton of Kobanê, but the situation of Kobanê is not well itself. Rojava still faces an embargo, the borders are closed and Kobanê experienced a terrible war, with total devastation of its infrastructure and a lot of a damage to its people. Therefore the canton of Kobanê is not in an ideal situation to support 50.000 refugees; its resources don’t suffice. The People’s Council of Minbiç has appealed many times to international organisations for humanitarian aid for the refugees, but untill now no humanitarian support has been delivered, although there is an urgent need for all basic supplies for the refugees. The People’s Council of Minbiç and the military council of Minbiç do what they can to support the refugees; sharing their own limited resources. There is a lack of everything: a lack of food, medicines, hygienic facilities, clean water, soap, medicines, blankets. The refugees sleep on the naked earth. At first, the refugees lived in the desert. Now, there are camps set up for the refugees, but the facilities in these camps are very poor. Besides tents, there is nothing. The people have nothing to sleep on. Most refugees live in the emptied villages. But here the situation is not good. The villages are being cleared of mines, and there is still the chance that mines will explode. The public buildings are so badly destroyed that they are not in any shape to be used. The living standards are far below human standards and the refugees face serious problems in meeting their basic needs. 30.818 refugees are registered as living in the villages. There is a lack of food, clean water, hygienic facilities and healthcare. In such situations contagious diseases spread fast. The refugees only receive bread once in three days. There is no milk for the children. 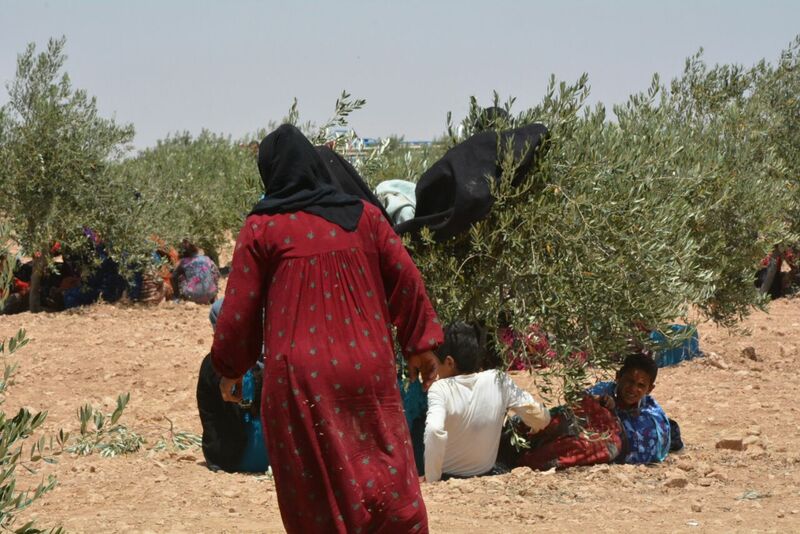 Hunger and diseases threaten the life of the refugees, who are mainly women, children and elderly people. 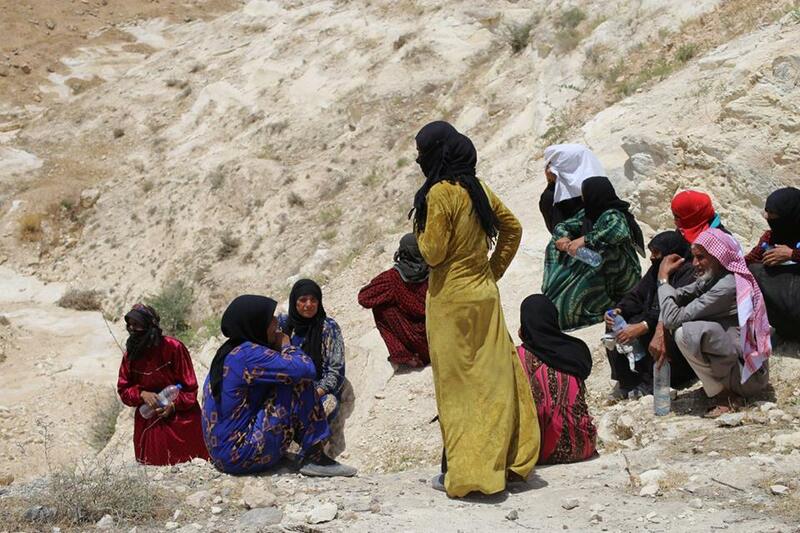 For three years ISIS ruled in the area of Minbiç and left deep injuries in the souls of the people and in the society. For three years the women in this region lived as slaves. Their lives weren’t counted as lives. The women weren’t valued as humans. 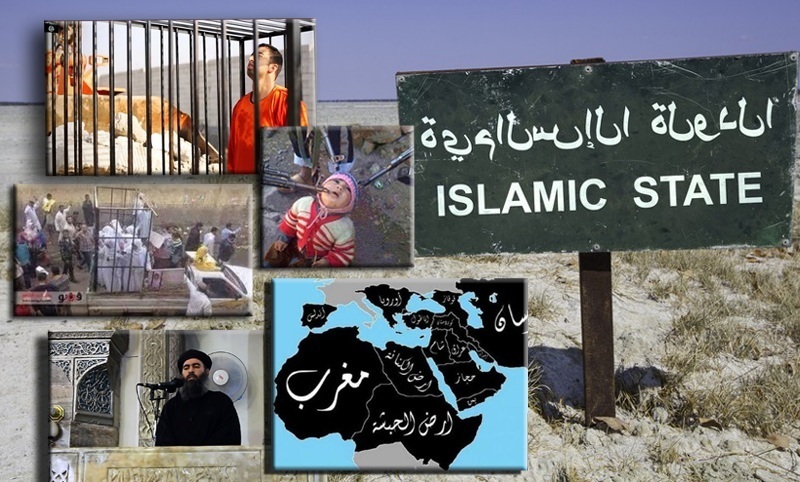 The regime of ISIS has a very deep influence on the psychology, health, personality and society. These deep injuries won’t heal soon. “We call on the international institutions to carry out their responsibility for humanity. This war is especially a war against women. Therefore we also call on women’s organisations to show solidarity with the women who have been living under the system of ISIS. This entry was posted in no category, Resistance, War and tagged ISIS, Kurdistan, Kurds, Rojava, Syria, Turkey, Yezidis. Bookmark the permalink.